Local flower shops heed the call from guys and gals of all ages to show their love. Turn your high school crush into something more or bring your spouse back on your side after an argument with a batch of beautiful flowers. These Flower Shops Mobile Apps have a goal to put together remarkable arrangements in a reasonable time to make their customers happy. What happens when those customers aren’t able to find your shop or understand what types of flower arrangements you offer? Can I get a prom corsage or a wedding bouquet from your shop? These are questions that need answering, and one of the most effective way to reach out to these customers is through their phones. Simply grab a mobile app template and start your connection with customers on the move. Let’s be real, many of these customers are thinking about purchasing flowers while on the way home from work or just a few days before the big dance, so the place to reach them is in the car or while walking home from school. 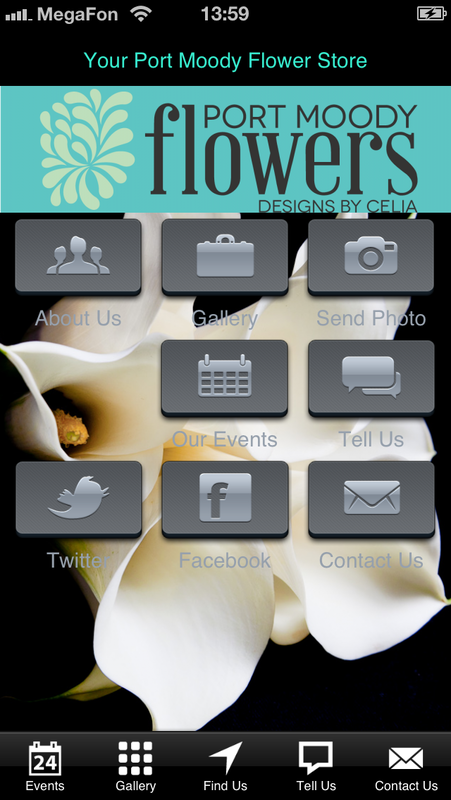 Improve your exposure above other local flower shops by using a mobile app template. We put together a few of our favorites in the list below, so take from their experience and use their techniques to expand the market for your flower shop. 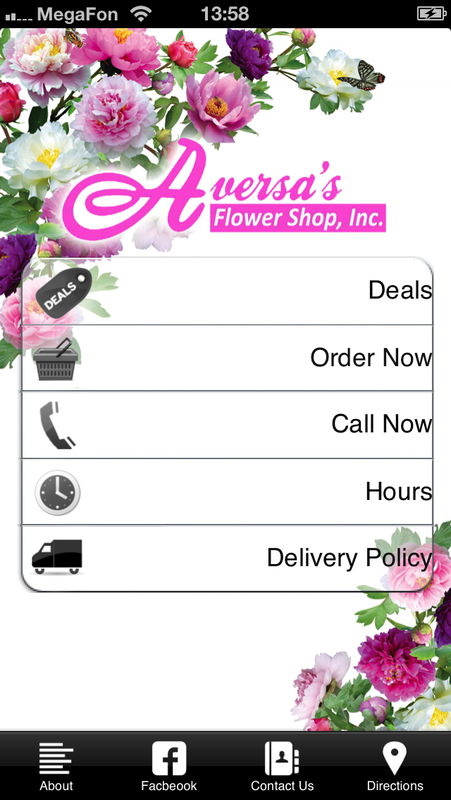 The Aversa’s Flower Shop offers a prime example of what is needed in Flower Shops Mobile Apps. The homepage starts with a stunning image of multicolored flowers dangling from the top, and the screen isn’t cluttered with the nice white background. This way you can view the prominent logo and buttons without having to squint your eyes. 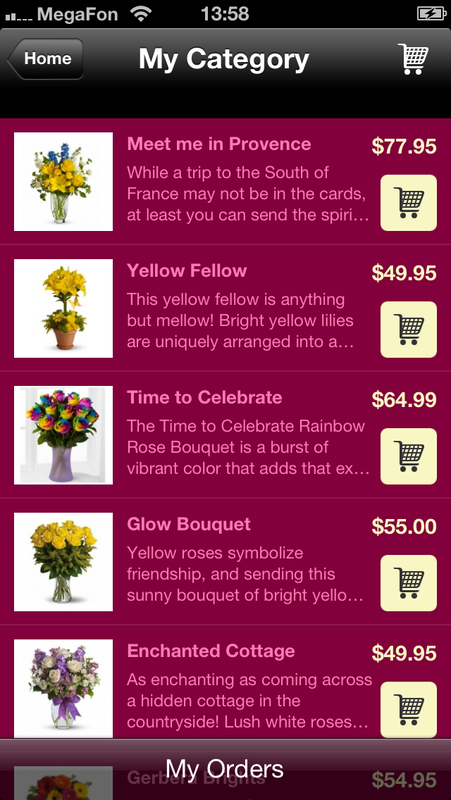 The app includes a great representation of how to use the mobile shopping cart feature on iBuildApp, with an area for flower deals and traditional offerings from the store. Along with social media links, directions and a quick Call Now button, the app excels on all fronts. And don’t forget about the Hours page for people who are rushing home from work and trying to catch you before closing time. Although the homepage for the Port Moody Flowers Shop requires a bit of work, I wanted to point out some unique features that I haven’t noticed on other flower shop apps. Part of owning a flower shop is creating unique arrangements for various different occasions. This means that customization is key, and you must treat your work like a portfolio. 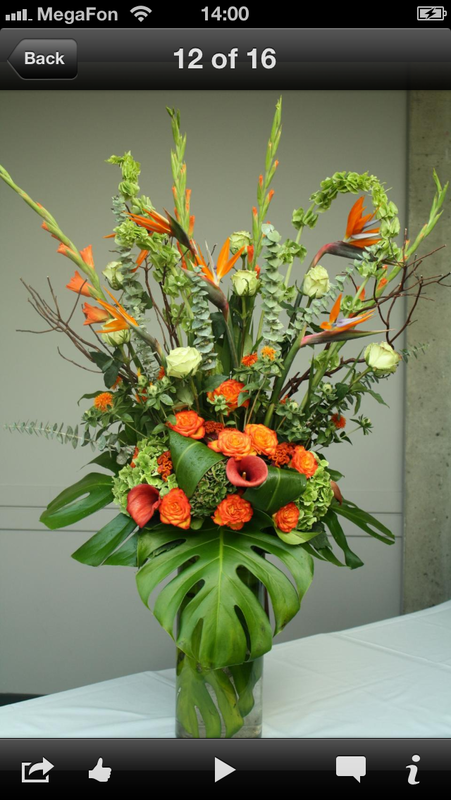 The Port Moody flower app includes an area that showcases images of different flower arrangements to give people an idea of the styles they can expect when going to the shop. There are also plenty of social interaction buttons on the mobile app such as Facebook, a Contact page and a module that allows customers to snap a photo and send it in to the company. Imagine the response if you held a promotion where people take pictures of their flowers at a prom or wedding? You could hold a contest for the best picture and then give that person a discount or prize. 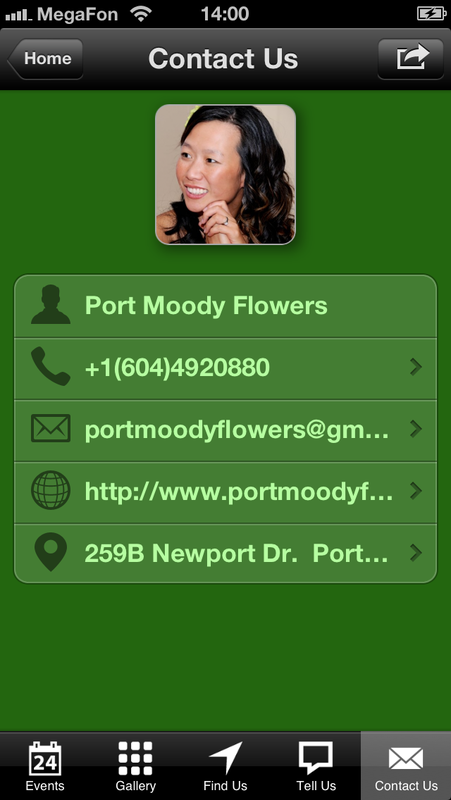 Now those are some high quality apps for local flower shops! Let us know in the comments section if you have any questions about using the iBuildApp mobile app templates or if you want to design your flower shop app similar to the ones we talked about above. We understand that selling flowers is your first order of business, but by designing Flower Shops Mobile Apps in a few minutes you will have even more ways to sell your flowers.